The Twig is our print newsletter that comes out three times a year. Members receive The Twig free in the mail, and anyone is welcome to read it online. 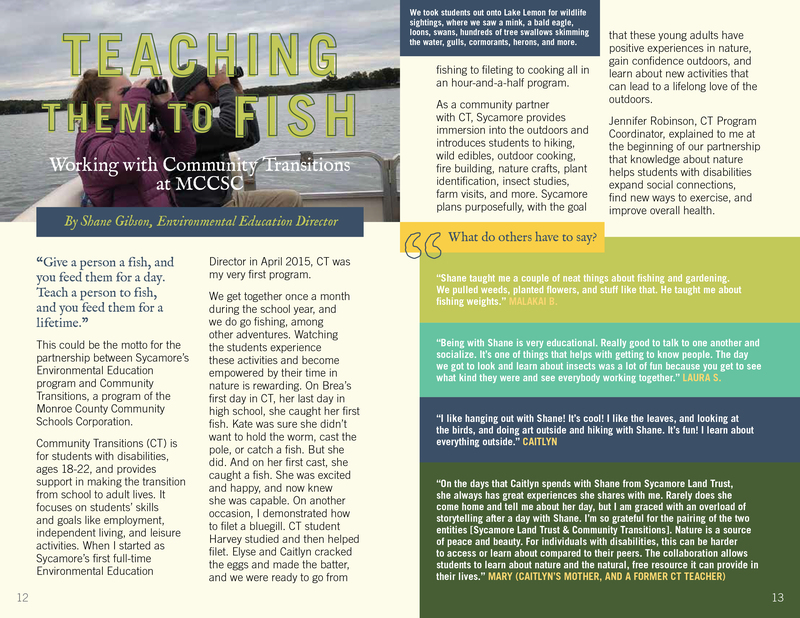 Learn about conservation news, outdoors events, environmental education stories, interviews, and much more. To become a member, click here. 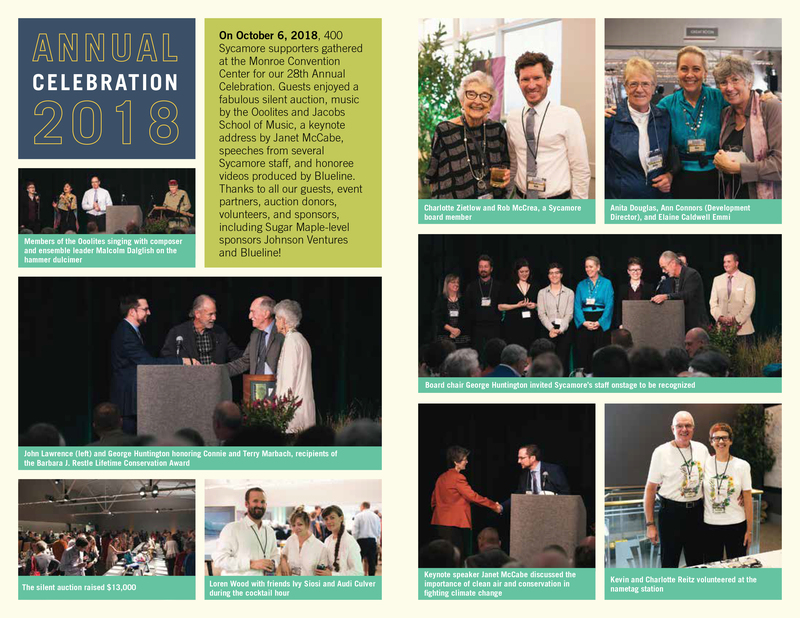 Read the Winter/Spring 2019 issue online (PDF). 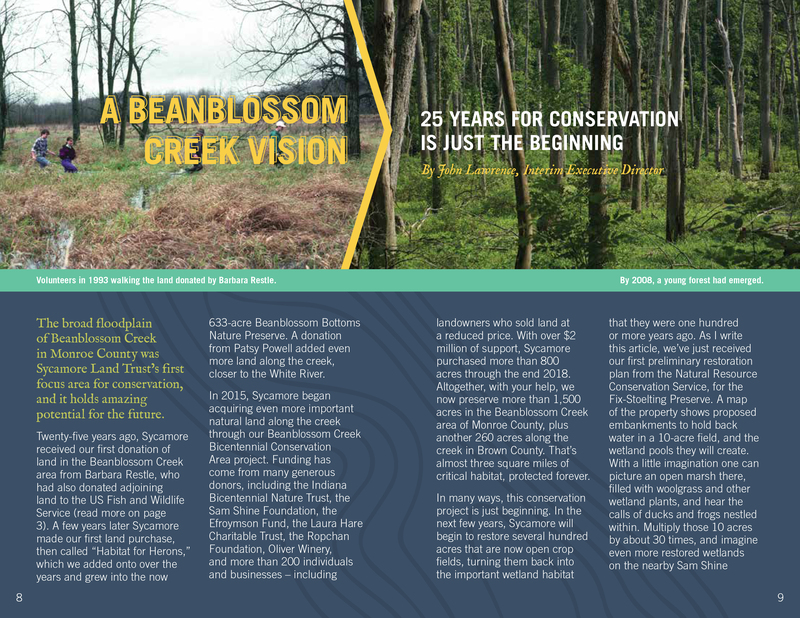 The Winter-Spring 2019 issue of The Twig focuses on Beanblossom Bottoms and our major project there to rebuild the beloved boardwalk trail. 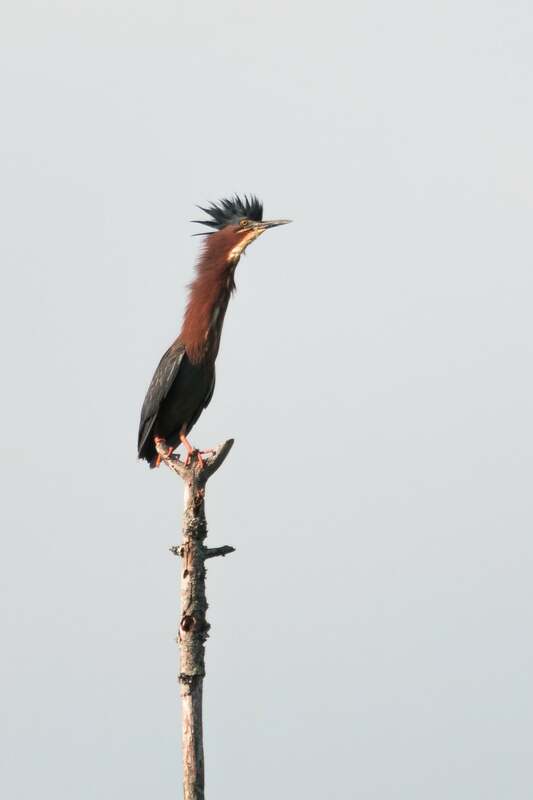 Construction is ongoing, and we hope to announce the date of the preserve's reopening soon! To stay on top of the latest updates, sign up for our e-news. 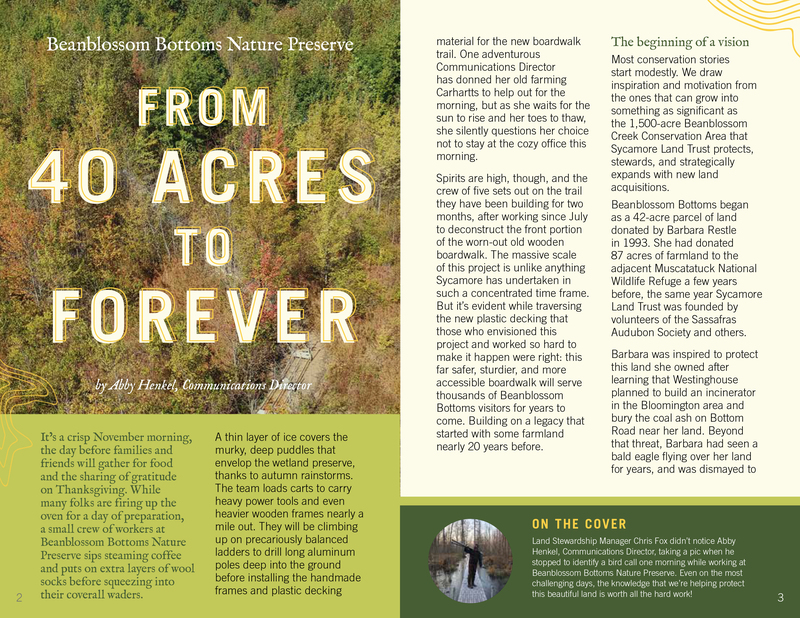 For videos, historical timelines, and stories about Beanblossom Bottoms, click here. The editor of The Twig is Abby Henkel. The designer is Danielle Lucas. For questions, please contact Abby at abby@sycamorelandtrust.org. 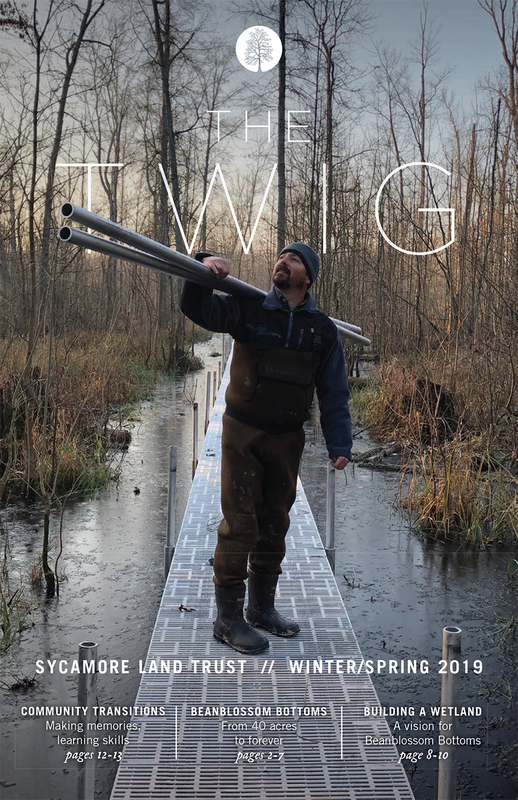 You can view recent issues of The Twig by clicking the links below (PDF), or view previous articles on our blog.